Marianna and Jackson County are worse off today than before Scott took office. They're not alone. MARIANNA — The line forms early at the local food pantry. 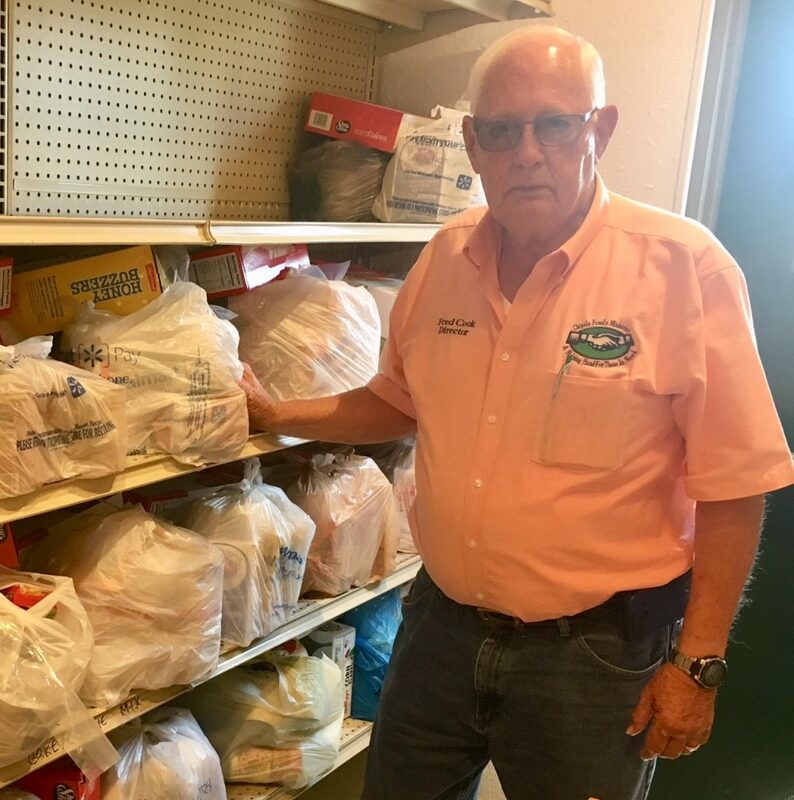 By 8 a.m. three days a week, two dozen people are standing in the heat and humidity, swatting away gnats while they wait for bags of free beans, rice, cereal and grits. They have no jobs and not much hope, but they are grateful for any help. Gov. Rick Scott talks endlessly about a booming economy that has added nearly 1.6 million jobs in his eight years in office, and an unemployment rate that has plummeted to 3.7 percent. But there's another Florida that Rick Scott rarely talks about. It's a promise he has kept in some places and broken in others. In his State of the State address two years ago, Scott triumphantly told the Legislature he had "completely" turned around the economy. But it's not true. Not only has Jackson not turned around, but things have worsened in the Scott years, according to the school superintendent, a prominent retired judge and the editor of a local newspaper. "We're dying," said Sheila Mader, managing editor of the weekly Jackson County Times and a busy chronicler of daily life in her community. 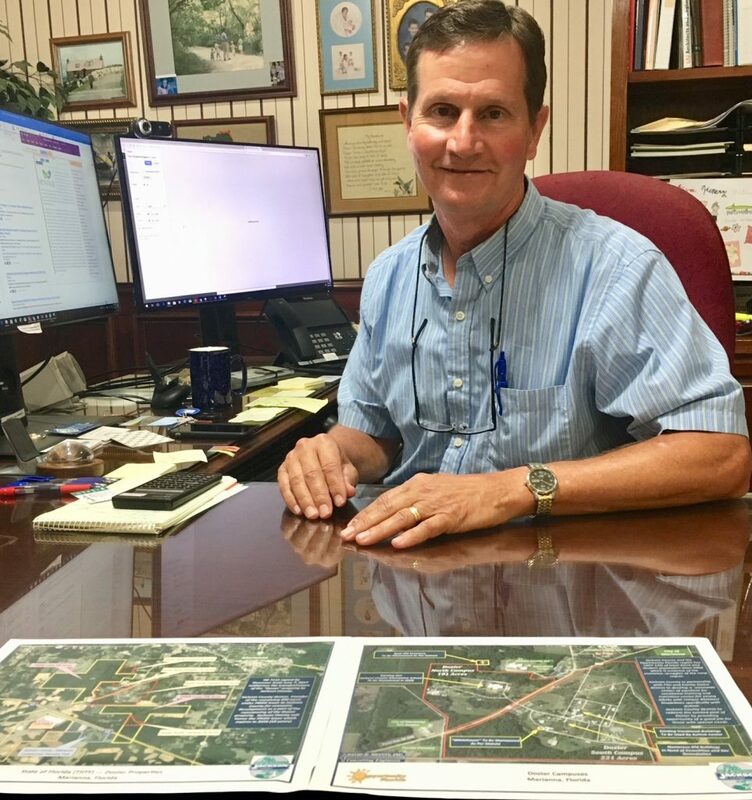 “The governor has done a good job of creating jobs (statewide) but we have fewer jobs now than before the recession,” said David Melvin, a seventh-generation Marianna resident who owns an engineering firm. Nearly all of the county's public school students (94 percent) qualify for free or reduced price lunches. Stately old houses with sweeping porches and mom-and-pop restaurants and shops dot Marianna's main drag, U.S. 90. But boarded-up buildings and abandoned storefronts are common. The local grocery is an IGA, a brand of grocery store unlike chains such as Publix because they are operated by smaller retailers. The AM radio station went off the air years ago. "Jackson County and its neighbors are in desperate need of economic growth," the county told the state in a recent request for state money. "Unlike other areas of the state, Jackson County's local and regional economy has not yet seen recovery from the Great Recession." Nearly half of Florida's 67 counties had fewer jobs than a decade ago, according to a 2017 report by the Florida Chamber of Commerce Foundation. Most are smaller rural communities in North and Central Florida and around Lake Okeechobee. Other counties include Alachua, Baker, Charlotte, Citrus, Columbia, DeSoto, Gadsden,Glades, Hardee, Hendry, Highlands, Holmes, Levy and Okaloosa. The Chamber is a pillar of the business community and a strong supporter of Scott and most Republican leaders in the state. Its Florida Scorecard has tracked the uneven pace of economic recovery across the state. Scott's Department of Economic Opportunity, which oversees jobs, said Jackson gained 105 jobs in the past year, a growth rate of 1 percent. But the picture is bleaker, according to the United Way's study of financial hardship. Its latest report said 44 percent of Florida households could not afford basic necessities such as food, housing and child care in 2015. In Jackson County, the figure was much higher at 58 percent, or seventh-worst among Florida's 67 counties. In the Scott years, Florida's largest metro areas — South Florida, Tampa Bay and Orlando — have seen the most new jobs. Scott declined a Times/Herald request to be interviewed for this report. When asked about the worsening conditions in Florida's rural areas, Scott dismissed it as a "Democratic talking point." "If you look at what's happened around the state, we have added 1.6 million jobs," Scott said at a recent Tampa campaign stop, repeating a staple of his election-year message. "Every county has seen a significant reduction in their unemployment rate." That's true in Jackson County. But tell it to Violet Collier, a 21-year-old student who wants to enter the ministry, and works as a volunteer at Chipola Family Ministries, which runs what it calls a food ministry. "People come in and they're literally on their last couple of dollars," Collier said. "It's eye-opening." The food bank provides donated second-hand clothes, shoes and basic household items to needy residents, but the draw is the food. Last year, the program gave 359,000 pounds of food to 25,000 people — equal to half the county's population. 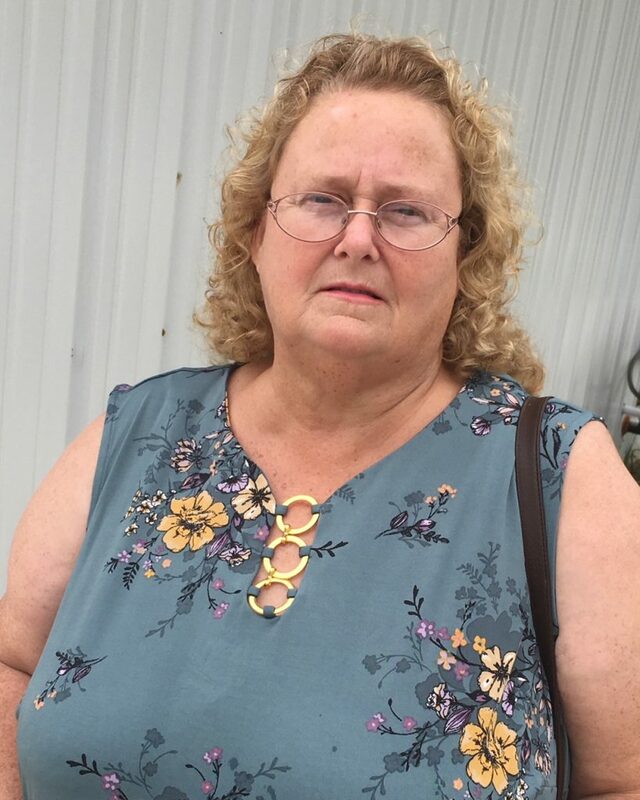 "It's important, because I lived on a fixed income," said Linda McCoy, 51, who gets by mainly on supplemental security income. "My light bill is high," McCoy said. If the food bank did not exist, "I probably wouldn't have much to eat." "Not only are we not growing, we're regressing," said Woody Hatcher, a retired judge who publishes the Jackson County Times. 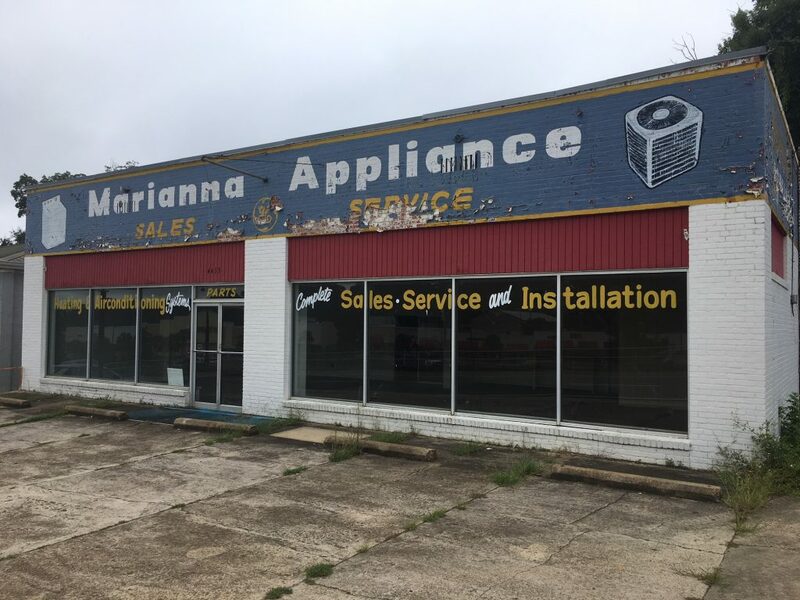 Hatcher is puzzled that Dothan, Ala., just across the state line and 35 miles away, keeps attracting jobs as Marianna and Jackson County stagnate. It's a small town of strong-hearted people. When a family of four with no insurance lost their home in a recent fire, yellow flyers appeared all over town, asking to help farmer Tony and Reyna Mayo and their two boys. Interstate-10 runs through the heart of the county. That's a transportation asset, and one reason why the Family Dollar chain has a major distribution center in Marianna, with a "Now Hiring" banner visible from the highway. Jobs there start at about $11 an hour. During Scott's tenure, the state has sent $11 million to Jackson County for housing, site work, wells, water lines and other improvements. More than half of the money came from the federal government. Scott earlier this month announced $1.5 million in grants to small, rural communities statewide for job creation efforts. Marianna's share was $32,000. The state has helped with the cleanup of the shuttered grounds of a former state-run school, and Marianna recently received a $1.9 million state grant to expand the runway at the local airport. But the difference is that Scott, the Republican U.S. Senate candidate and "jobs governor," keeps telling people how wonderful things are. "This election is really just basic common sense," he said at a recent kickoff rally in Orlando. "If you want job growth, vote Republican. If you want job losses, vote Democrat." Later that day, Scott acknowledged on his campaign's Twitter account that Democrats are right that some people are suffering in Florida. Under Scott, Jackson County has lost jobs. But politically, he's likely to do well here, in a Panhandle community where many people are registered Democrat but vote Republican. 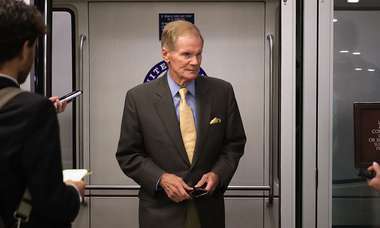 Jackson's voters will help decide whether Scott becomes their next U.S. senator or whether Democratic Sen. Bill Nelson will win a fourth term. Jackson is a conservative place and Scott has been popular here. He got 60 percent of the vote four years ago and 52 percent in 2010, and President Donald Trump got 69 percent of the Jackson County vote two years ago. The school, the source of so much shame, could yet be a source of Jackson County's economic revival. 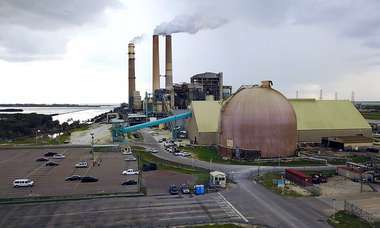 In 2017, the Legislature passed a bill to transfer 332 acres from the state to the county, but it hasn't happened yet, as the bureaucratic wheels grind slowly in Tallahassee. "This is a chance to turn lemons into lemonade," engineer David Melvin said. "We want to match kids with jobs." The money was requested through an a$85 million Jobs Growth Grant Fund. By law, one person decides which requests are approved: Gov. Rick Scott. Times staff writer Steve Contorno and Times senior researcher Caryn Baird contributed to this report.